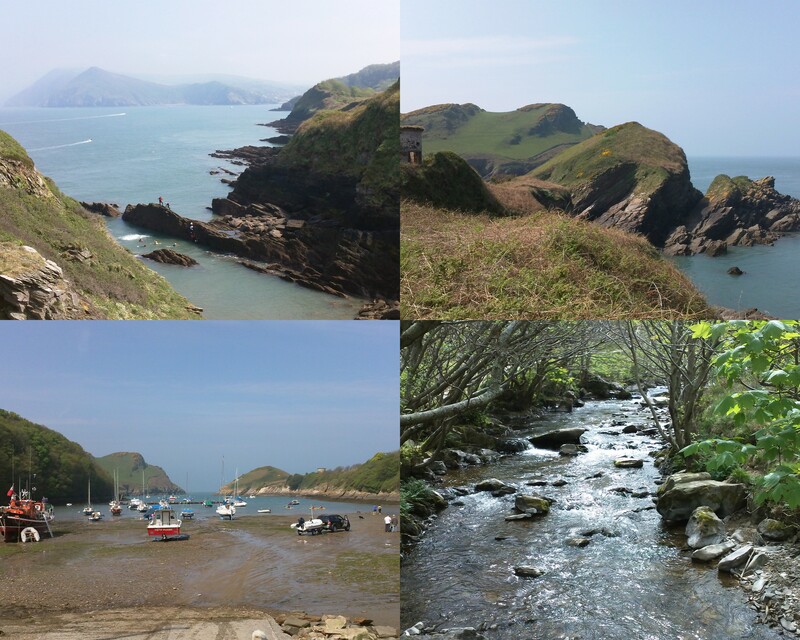 Some scenes from our wonderful Easter weekend in North Devon. Heddon’s Mouth is bottom right and the rest are in and around Watermouth Bay. There’s a simple answer to those points. There is only one country connected by land to the UK. It’s called Ireland. They have a President. You may know the last two office holders. Mary Robinson. 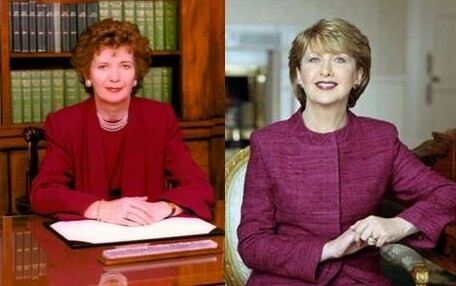 Mary McAleese. They have been quite successful. The other day we parked in Shaw Church car park, Newbury, to visit couple of our daughters’ teachers at nearby Trinity School. When we came back to the car, this little notice had been put under the wipers. It may seem a small thing but it meant a lot to me. 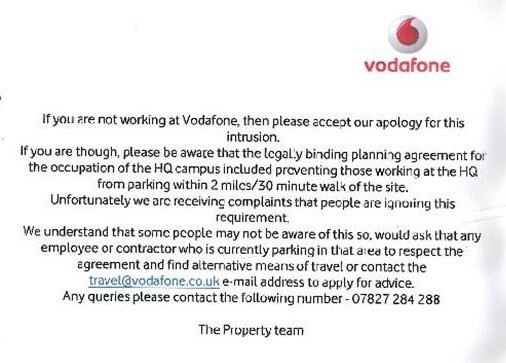 What it means is that, well over a decade after agreeing to a green travel plan, in order to build their HQ at Shaw, Vodafone are still very energetically sticking to their commitments. Some rather hurried photos taken first thing this morning in Boundary Road, Newbury. 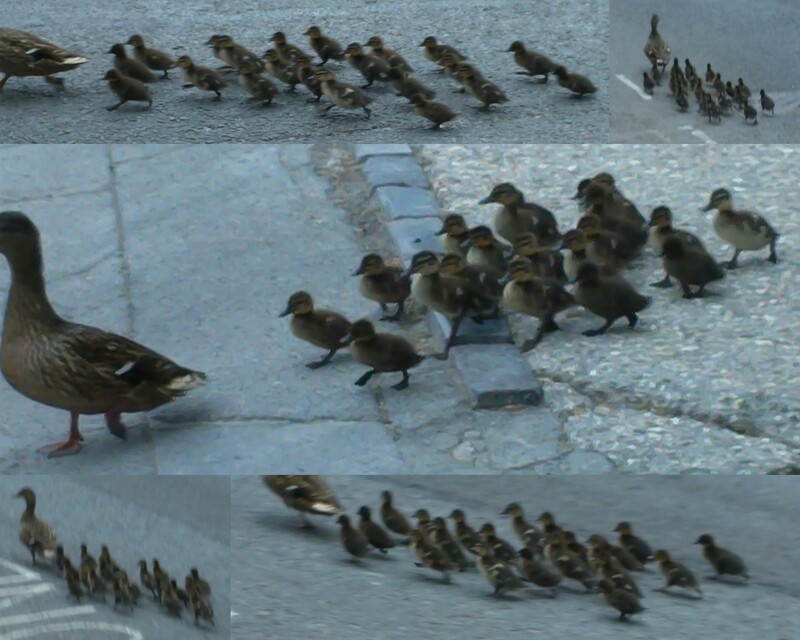 I have counted nineteen ducklings. That’s a big family. They managed to make it to safety. 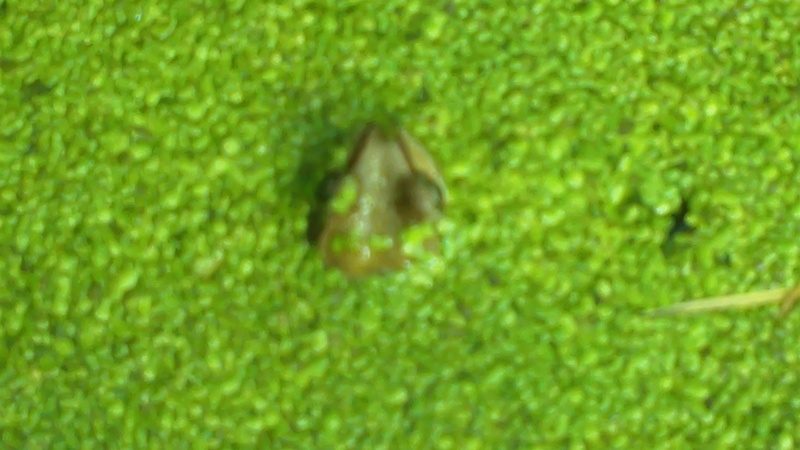 And here is Archie, one our frogs, on look-out duty (our cats keep up a vigil around the pond). Other things to celebrate: The anniversary of James Cook making landfall in Botany Bay, Australia. It’s Duke Ellington’s birthday. It’s World Dance Day, National Shrimp Scampi Day, Abor Day (a holiday in Nebraska,USA), the Feast Day of St Catherine of Sienna, World Wish Day and the World Day of Immunology (that latter one is perhaps the most significant. Many, many of us wouldn’t be here if it wasn’t for progress in immunology. During an answer on the NHS, David Cameron made his now infamous “Calm down, dear” remark to Angela Eagle (available via Channel4News on YouTube). He followed it up with the words “Calm down” repeated several times, including to “the most annoying man in politics” (Cameron’s words), Ed Balls. It was a relatively inconsequential, if ill-advised, remark. However, I don’t get the “it’s a joke from an ad” defence here. The full catchphrase is “Calm down dear – it’s a commercial”. “Calm down, dear” on its own is only half a catchphrase. The reason why the remark is, quite rightly, causing a fuss is because it typifies the worst of Cameron’s dispatch box style: arrogant, bullying, petulant and rather old-fashioned. David Cameron used a very interesting phrase about the NHS reforms: “…that is the whole point of pausing the reforms and then trying to get them going again with greater support from doctors and nurses.” Note the words “then trying to get them going again” and, particularly, the word “trying”. Interesting. Andrew Lansley is going through the political equivalent of a slow shredder. Very painful. After all that excitement, the House of Commons needed a bucket of cold water thrown over it. Bill Cash duly obliged with the question about zzzzzzzzzzzzzzzz. Earlier, we were launched into competitive descriptions of the economy. As background, The Guardian reported: “A preliminary estimate released by the Office for National Statistics (ONS) on Wednesday showed that gross domestic product (GDP) – a broad measure for the total economy – grew by 0.5% in the first quarter of the year”. The BBC’s Stephanie Flanders commented that “the figures show a relatively slow moving economy, not a stagnant one”. Ed Miliband described this as a “flatlined” economy. But if you’ve gone from -0.5% to +0.5% then you haven’t “flatlined”, technically speaking. Miliband also said: “Six months ago, what did he tell us? He told us that we were out of the danger zone. Since then there has been no growth at all in the British economy.” Well that’s a strange thing to say when the estimate is of +0.5% growth in the last quarter, though it is technically correct if you look at the last six months. Doesn’t Ed Miliband recognise the relatively well-established periodic division of quarters? Does he do everything over six months? Adrian Sanders (Lib Dem) called for a judicial inquiry into the relationship between News International and the Met Police, relative to phone hacking. Nick Clegg, by the way, has now devised a way of looking serious and potentially supportive of Cameron, while dispensing with the worst excesses of the “nodding donkey” technique of earlier PMQs. Stephen Gilbert (Lib Dem) asked an excellent question about housing: “Across the country, 2 million families are on waiting lists for social housing. Nearly 1 million homes lie empty, and the average age of a first-time buyer is 37. Does the Prime Minister acknowledge that there is a housing crisis in Britain, and will the Government publish a strategy to tackle it?”. Does the AA qualify as a much-loved national institution? I normally apply the “much-loved national institution” tag to the likes of the NHS and the BBC. I have a particular soft spot for the BBC. They drop their clangers. But from the numerous people I have met from the BBC and, in witnessing their daily output, I am firm in the view that the BBC is special. The people there take a a very professional and caring approach to their work. You can rely on and trust the BBC. But perhaps the AA hasn’t ever been called a “much-loved national institution”. I hasten to add that the RAC, GreenFlag etc may well also qualify for such an accolade. However, I have never experienced their service. 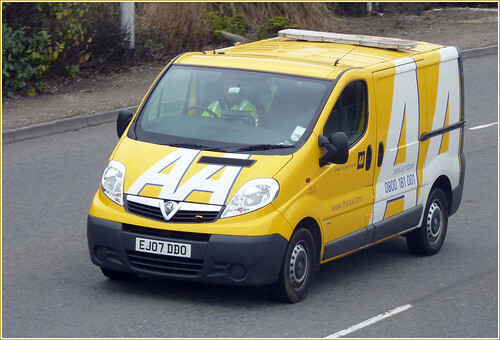 Over the last year I have had to use the AA roadside call out three times. On each occasion, their mechanic has been an absolute godsend and got us, as a family, out of a nasty fix, quite promptly and with a friendly word or two. Their mechanical know-how was exceptional. The most recent example was on Monday evening when something punctured our tyre on the M5 near Bristol. Our “man who can” was there within 30 minutes and sorted us out very quickly. You could call me a wimp for phoning the AA to change a tyre. Indeed, my wife implied as much (to later retract said accusation and praise my good sense in phoing them). But it’s extremely dangerous on the hard shoulder and even Arnold Schwarzenegger would be sensible to get the AA to shelter the scene of operations with their flashing van. It also turned out that our wheel was slightly “fused” to the axle assembly, as so often happens these days. Never fear, our “man who can” judiciously applied a sledgehammer.